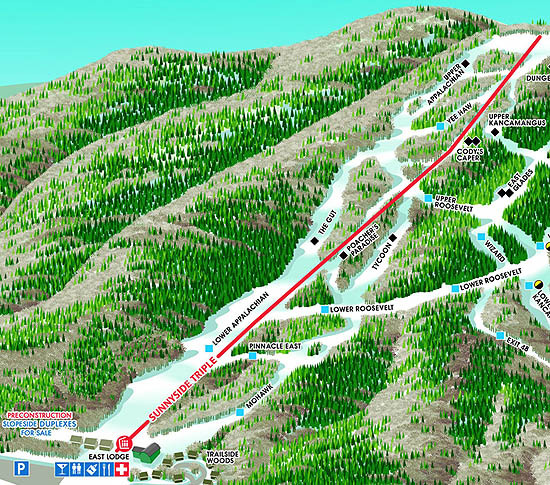 After operating on the existing footprint for some time, Pleasant Mountain opted to pursue the largest expansion in the history of the ski area. 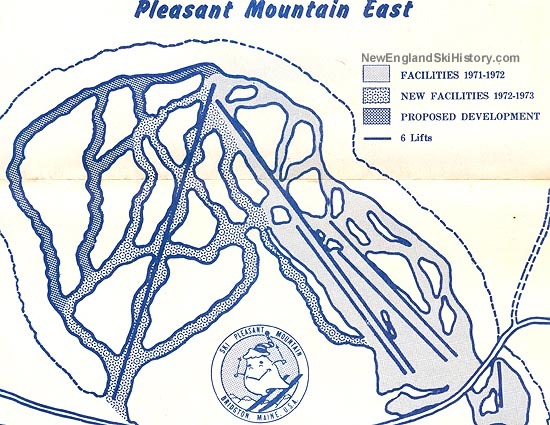 In 1972, a new Hall 4,246 foot long double chairlift, rising 1,246 vertical feet, was installed in the new Pleasant Mountain East Area. 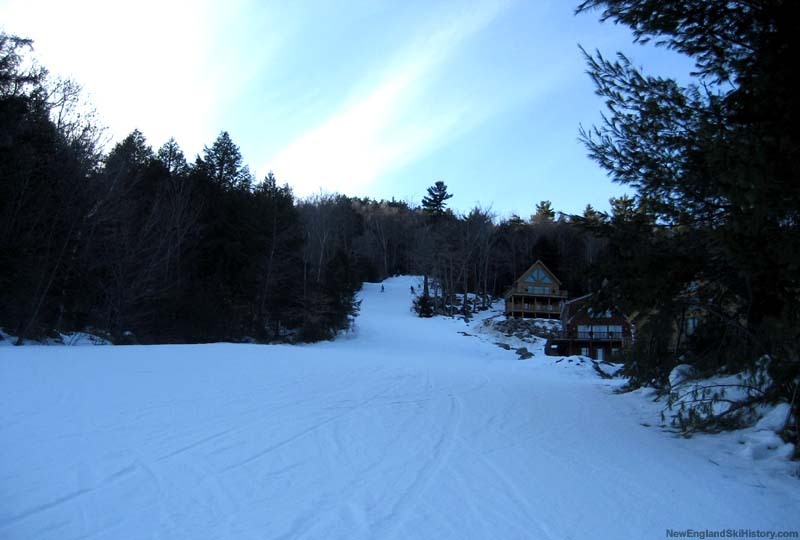 Four miles of new intermediate and expert trails were cut from the top of the existing ski area. A small base lodge would be constructed. 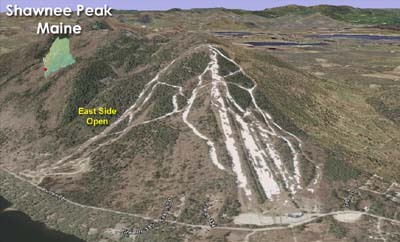 Up to four additional trails were proposed, however they were never cut or opened (perhaps due to the rocky/ledgy land). 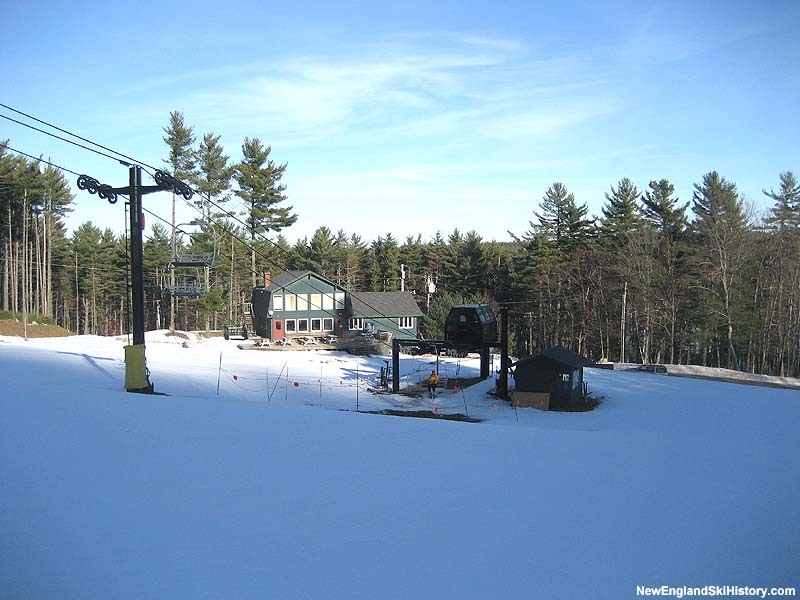 In the 1990s, the double chairlift was upgraded to a triple chairlift. 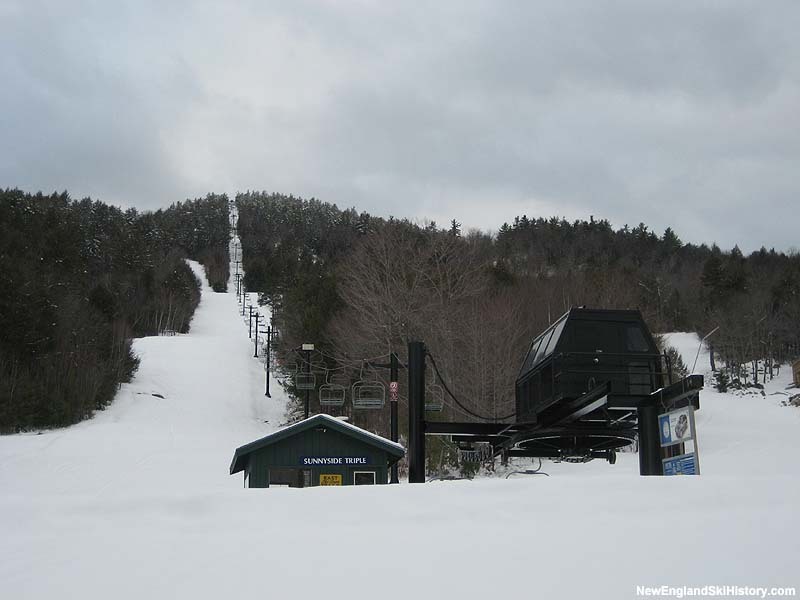 The lift is now known as the Sunnyside Triple.